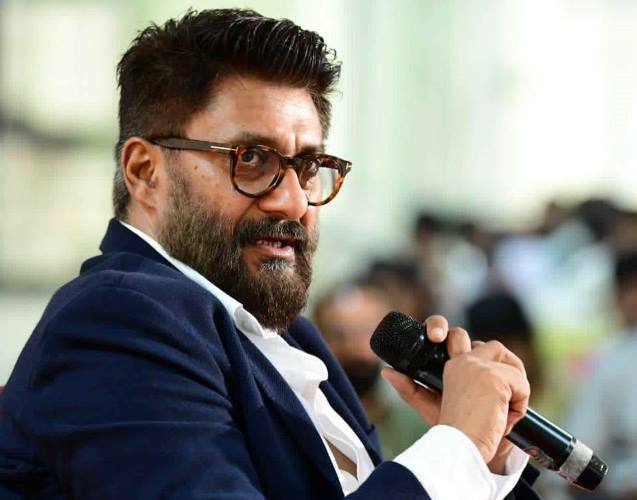 As a filmmaker, Vivek Agnihotri has dabbled in a variety of genres. No two films that he has made have been the same. He is also known as somebody who is extremely vocal about his socio-political views. His statements more often than not create a stir on social media but he is unperturbed by the same. In this exclusive interview, he talks about his new non-fiction show ‘Bharat Ki Baat’, being outspoken and fearless on social media and ‘The Tashkent Files’. You are known to be very vocal about your social and political views on Twitter. Is that a crime? (laughs) For the longest time, all the socio-political commentary came from the media. They mostly spoke about sensational topics and stayed away from talking about important topics like art, literature and several other wonderful things. When common people started sharing their views on politics and issues plaguing the country, they were trolled and criticised. People still dig out my old tweets and troll me. Earlier, I did not speak much about politics and social issues. When my film ‘Buddha In A Traffic Jam’ was about to release, a lot of people started attacking it. I had to defend my film which I had made with a lot of honesty. In the process, I had to talk about things which I truly believed were right. If people thought of it as political commentary, then so be it. I think it is very important for every individual to stand up for what he or she believes in. I am doing the same. How did the idea for ‘Bharat Ki Baat’ come to you? We often see all that is wrong in our country and complain about it. Even the news channels and papers are filled with negativity which makes you feel that the country is beyond redemption. But, that is far from being the truth. Our country has a glorious and wonderful history which must be celebrated. I thought it would be nice to create something which would give them a glimpse into all the things our country has achieved and how wonderful it is a place to live in. The show will give the audience a glimpse into several things about the country which they might not be aware of. Are there any similarities with ‘Bharat Ek Khoj’ which Shyam Benegal made in 1988? No, the two shows have nothing in common. ‘Bharat Ek Khoj’ was based on Jawaharlal Nehru’s book ‘The Discovery Of India’. In the show, Roshan Seth was playing Jawaharlal Nehru and acting as the sutradhar. Unlike ‘Bharat Ek Khoj’, our show does not fictionalise anything. We have chosen topics like agriculture, digital India, renewable energy, arts and culture. The aim was to make the people of India aware about our history and the things we can do to make our present more beautiful. What is the kind of research you did before going ahead with the shoot? For six months, I did extensive research with a team that I had put together. A show of this nature could not have been made without doing proper research. We stumbled upon a lot of material that surprised us and made us realise how ignorant we are about our own country. You have made a film called ‘The Tashkent Files’ which is based on the murder of Lal Bahadur Shastri. When do you plan to release it? We hope to release the film in the next few months. We will be applying for a CBFC certificate soon. I hope Congress lets me release the film peacefully.